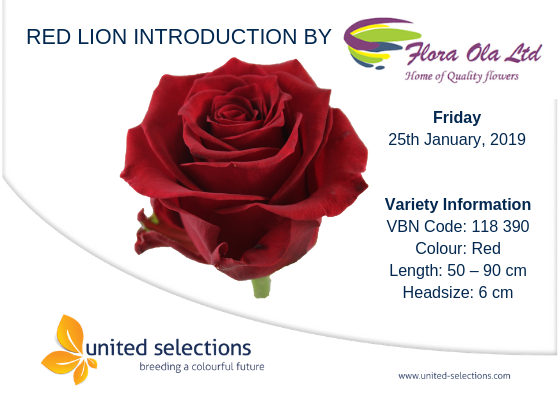 On Friday 25th January 2019 – Flora Ola became the 3rd farm to introduce Red Lion to the auction in Holland. Initial introductions were done by Altima and Bliss Flora. This means that with time, we’re going to have reliable volumes of Red Lion.